I like rimfire rifles a lot. They are cheap to shoot both in terms of time and money. They are indestructible: a rimfire barrel has a life time of 50000-100000 rounds, whereas a centerfire barrel is gone after a few thousand shots. They afford an opportunity to learn essential shooting skills on a small field, because the effect of wind and gravity on a rimfire round at 100 yards is about the same as on a centerfire round at 300 yards. See my reviews of Kimber 82G and CZ 452 Trainer. Savages are also my favorite centerfire guns, because they are the most accurate serially produced rifles. 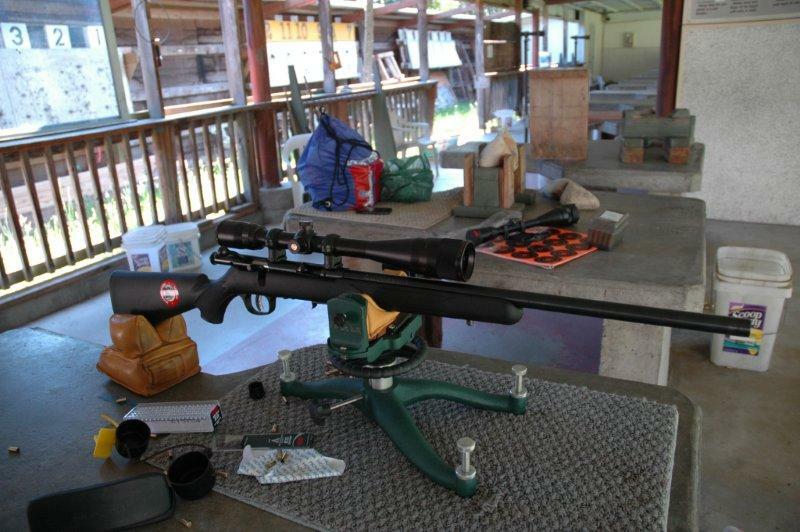 Sure, you can make a Remington 700 shoot really, really well - and in fact a number of benchrest class guns are based on Remington 700 action. But that requires a lot of aftermarket gunsmithing: bedding the stock, truing the action, replacing the barrel and the trigger. Out of the box, however Savage leaves the competition in the dust. But until recently I have never owned a rimfire rifle from Savage. They do not make ones for competition (no one in US does), and frankly I was simply not sure if I will ever be able to love a plinker. The super accurate match rifles have always had a draw on me, but I never felt attracted to 10/22s or the like. However, I kept my eye on Savage MKII-FV for two reasons. First was the aforementioned accuracy of Savage centerfires - I expected well above average performance from their rimfires as well. Second, MKII-FV has the same barreled action as all their other bull-barreled rifles - at a much lower cost. MKII-FVT, for instance, is sold by CMP for club-level matches and it is exactly the same as MKII_FV with the addition of peep sights - and its wholesale price is is over $150 more. MKII BSEV, BTV, BRJ, and others have the same barrel and action, with different stocks, some in stainless, some with barrel fluting, at a much higher price. BSEV's street price is almost 2.5 times more than MKII-FV. The above are probably also the reasons why I had to wait for over 4 months before I got my hands on a shipment of MKII-FVs (and yes, we now have them in stock! ), but finally a couple of weeks ago the wait was over! 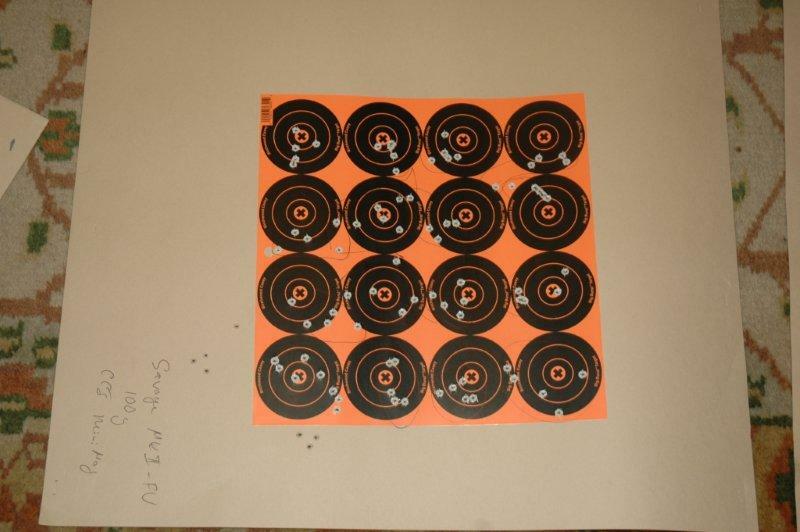 I started with putting a Bushnell 6-24x44 scope on it using Burris Signature Zee rings and shot it some from the rest. Then I thought some more, and decided that a plinker must be shot from a bipod. So I mounted a Harris bipod. The result turned out to be nicely light, compact and surprisingly comfortable to wield at only slightly over 8 lb. Then I shot it some more. Then more, and more, and more. 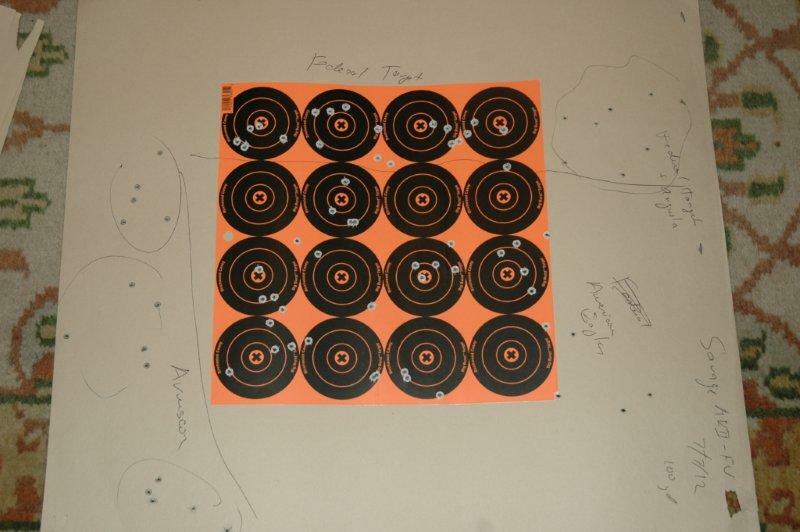 All these targets are at 100 yards, the bulls eyes are 3". 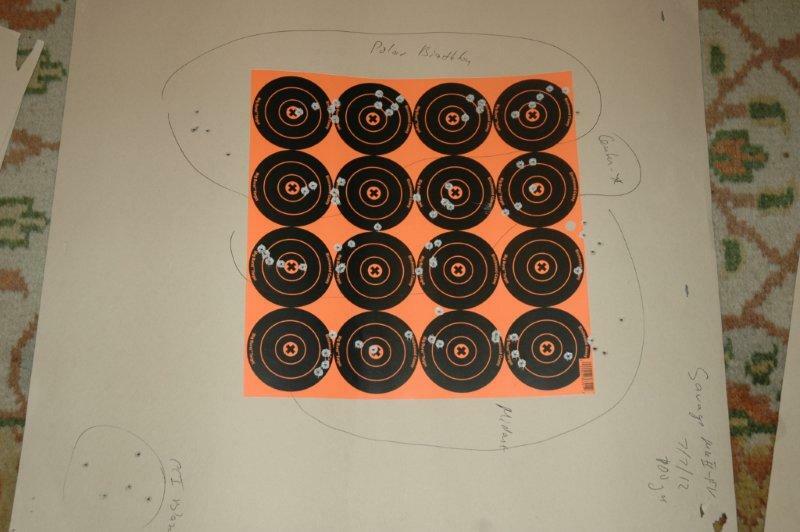 Lapua Center-X and Wolf were the rifle's favorite, each producing the 5 shot groups of 1.2" at 100 yards. More expensive brands of Lapua actually fared worse: Polar Biathlon at 1.5" and Midas+ 2.0". 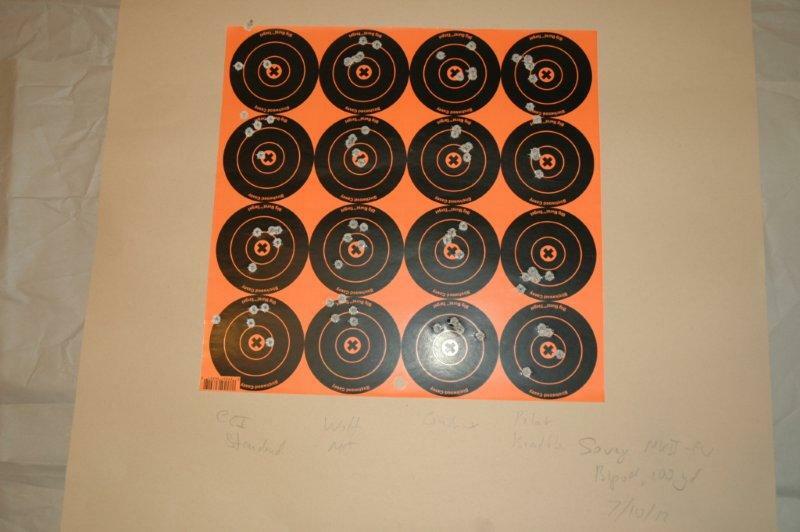 Among inexpensive brands, CCI Standard Target did the best at 1.6", followed by Blazer and Minimag both at 1.8". Fast ammo did not do well at all - CCI Velocitor and Stinger both had flatter trajectories but produced groups in excess of 3". The worst performers were Armscor and Aguila with 5" groups. The average of all ammunition shot - 95 groups of 5 shots - was 1.8". So overall, while not a competition gun, it has its uses. First, no soda can can be safe within 100 yards even with very inexpensive ammunition. Second, because it is so light and nicely balanced, shooting it off-hand is actually easier than a Kimber or a Remington 40x. Finally, it is a nice gun to learn shooting with - unlike the benchrest guns, the hold actually matters - I knew whether the group I am shooting would be good in advance because there was a direct correlation between my hold and the group sizes. 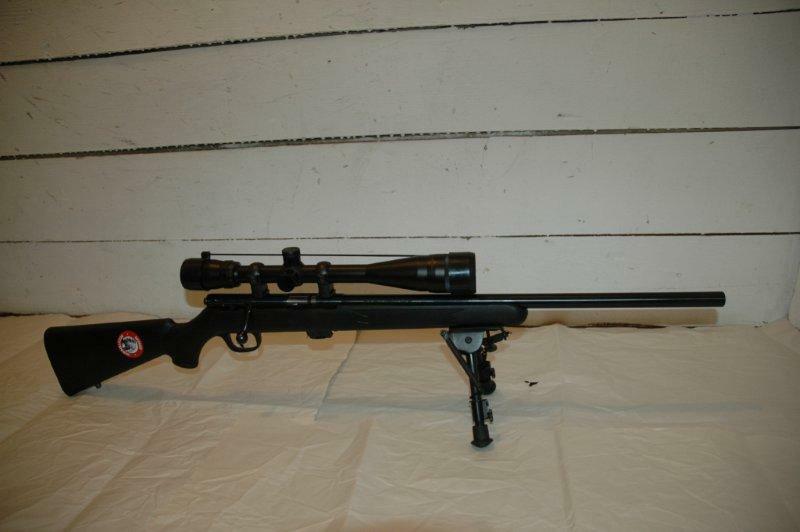 I highly recommend this gun for plinking, small game hunting, and the beginner shooters. Boyd's has SS Evolution stock that fits Mark II rifle family. I bought one to try it on. It looks cool, and if you are finding factory stock too small (I think it's actually just fine for a compact plinker), you might like this stock. It makes the very economical FV look just like the $500 Mark II BSEV for a lot less money. Please do not forget that the stock ships without the trigger guard, and as Mark II FV has trigger guard integrated into stock, you will also need to buy this floor plate kit. See review of the conversion here.